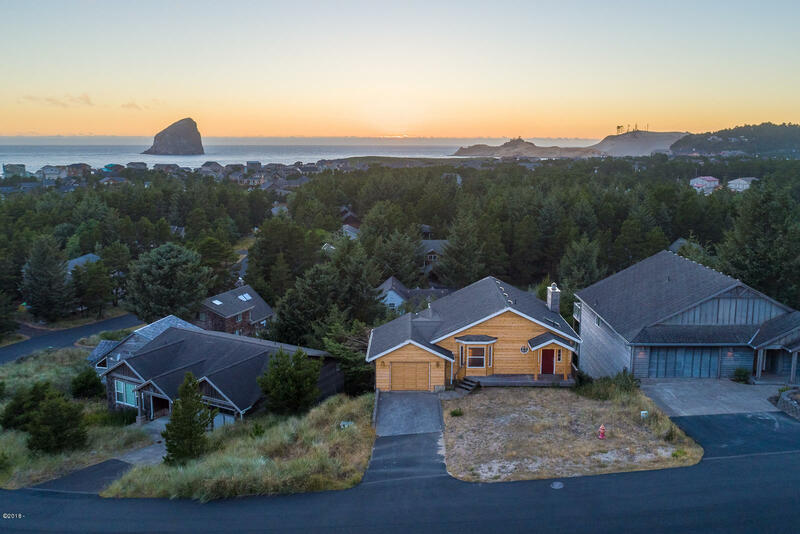 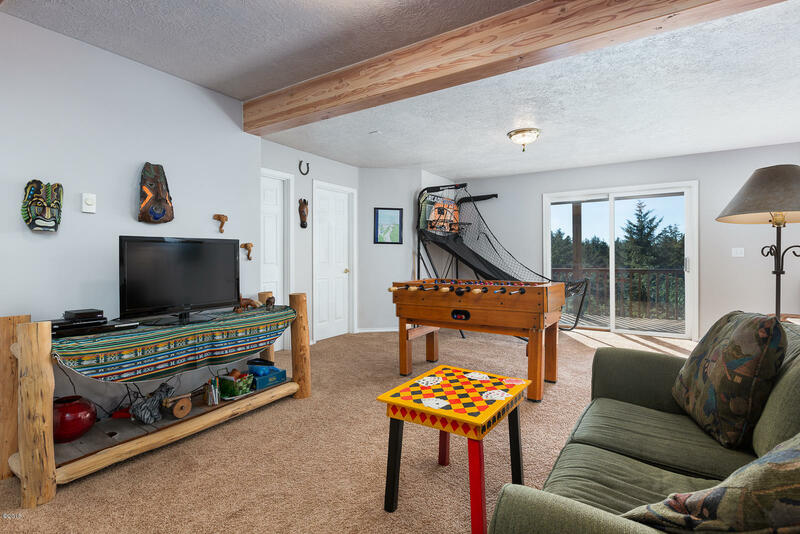 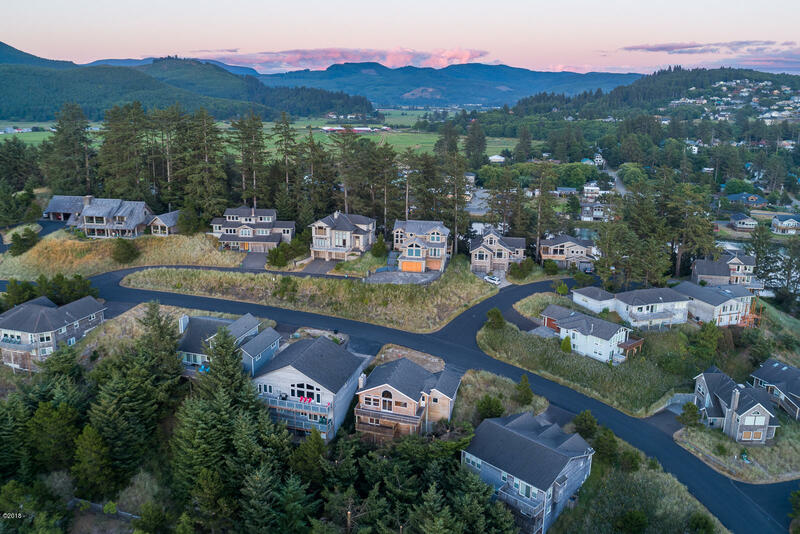 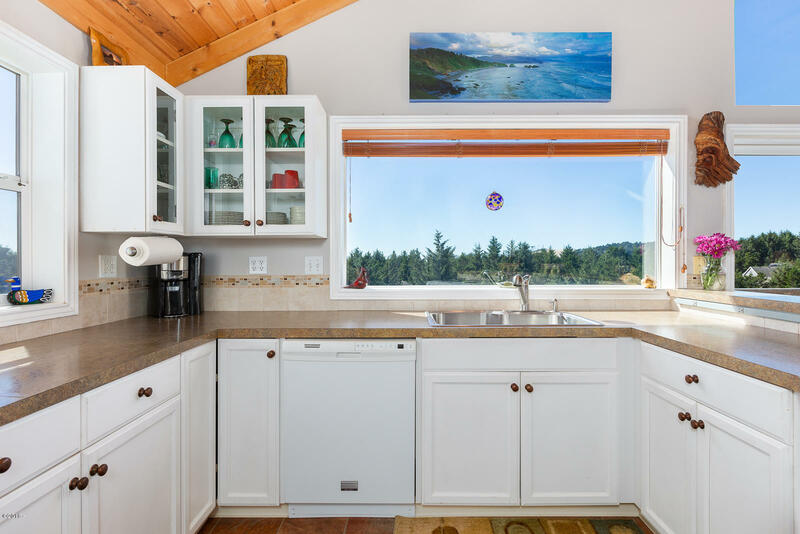 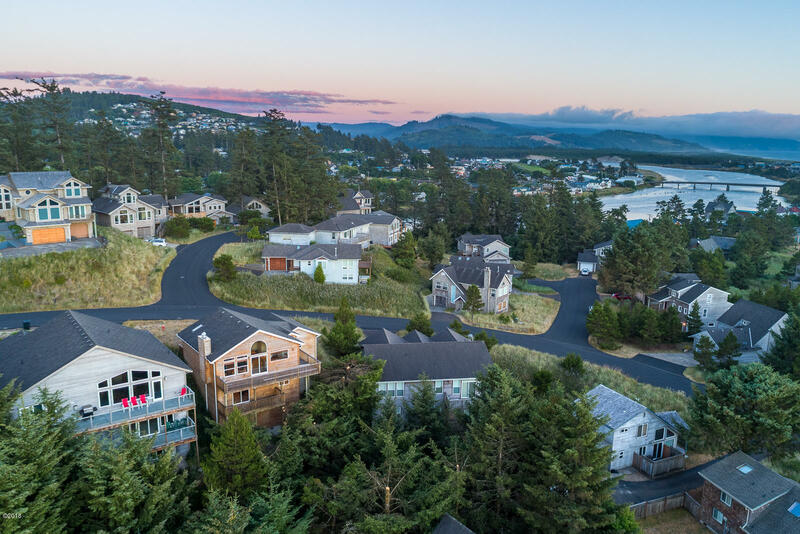 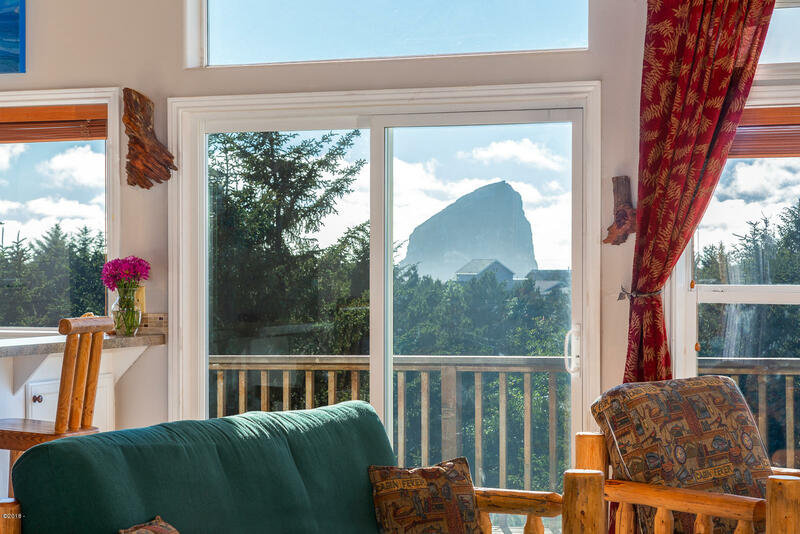 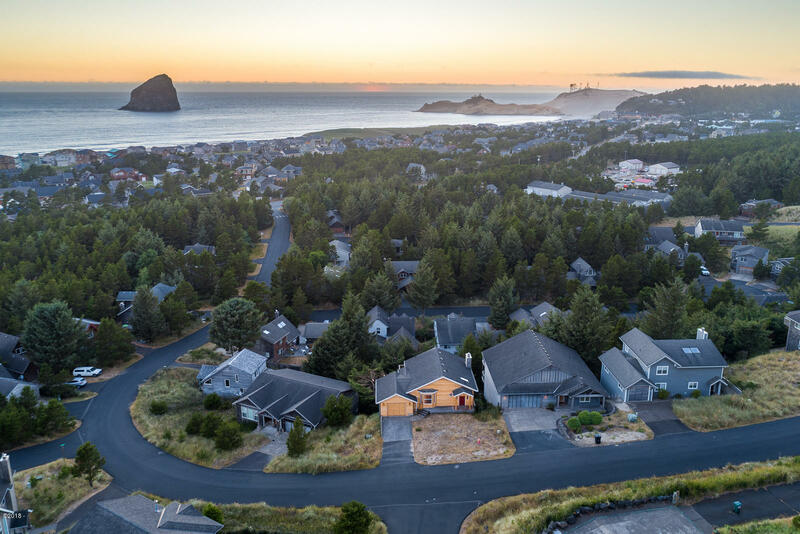 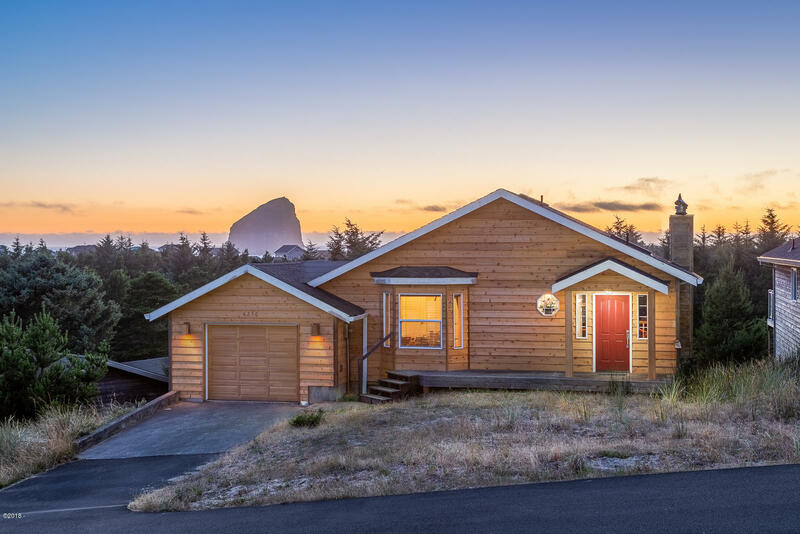 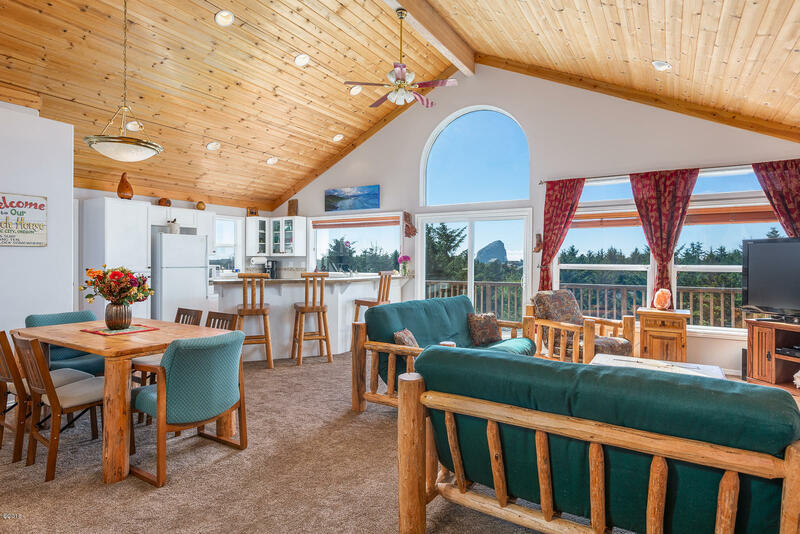 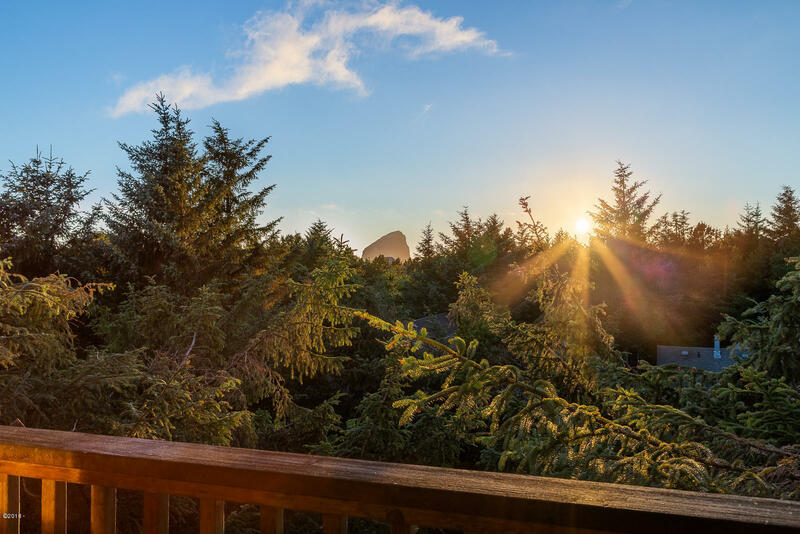 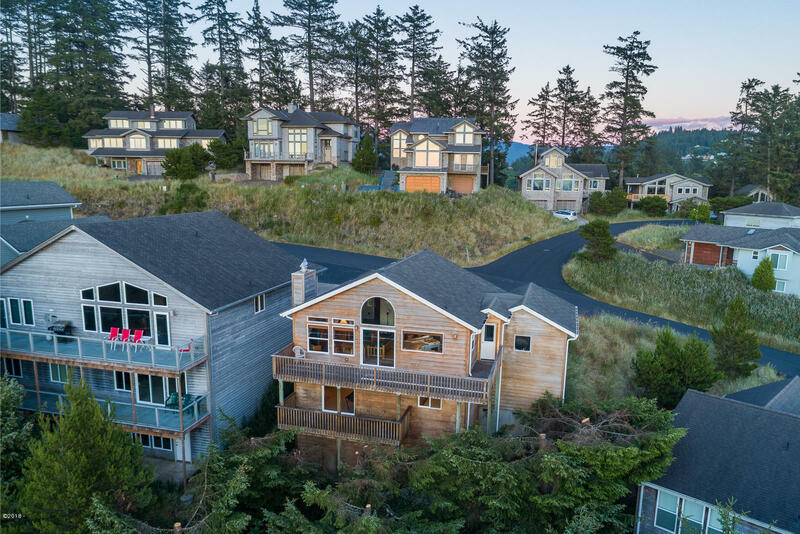 Spacious custom home with ocean and Haystack Rock views! 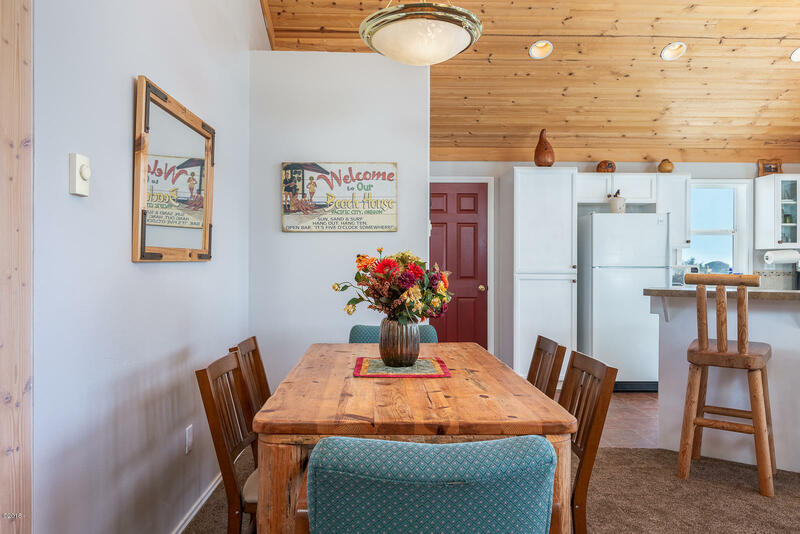 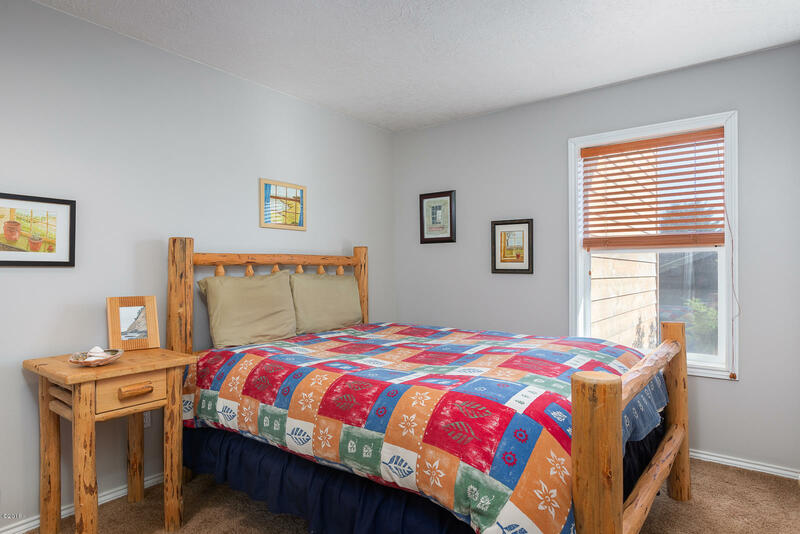 Offered move-in ready for your immediate enjoyment or excellent turn-key vacation rental opportunity. 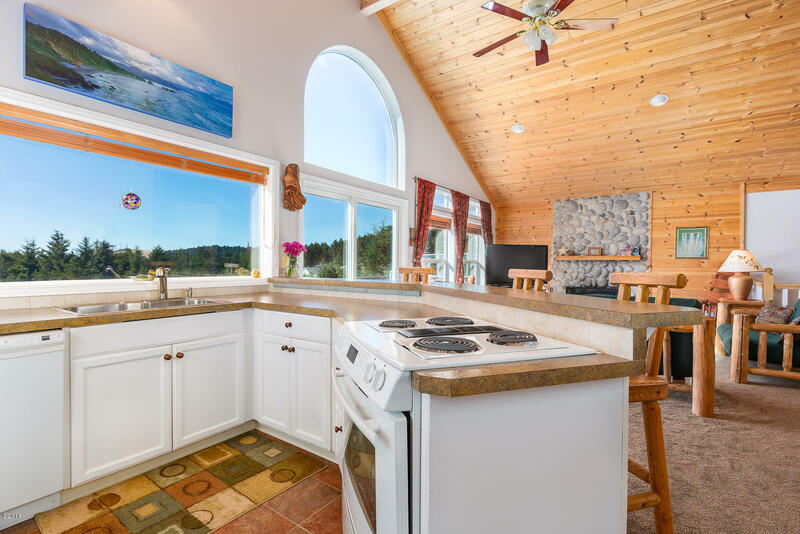 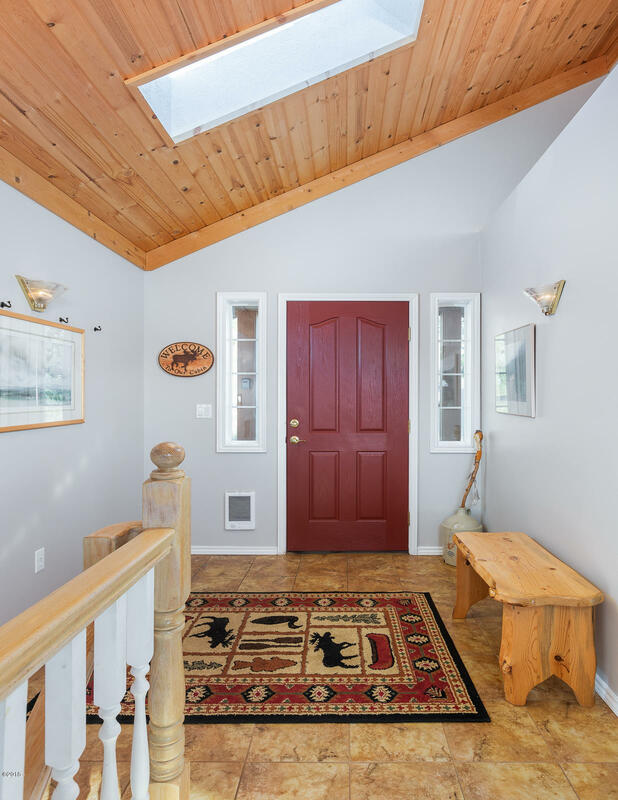 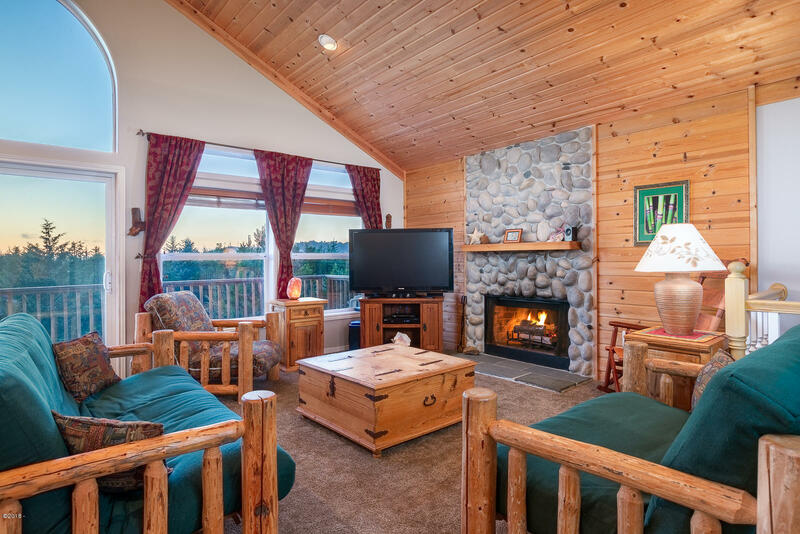 Sunny open living area features vaulted wood ceiling, beautiful river rock fireplace and large ocean view deck. 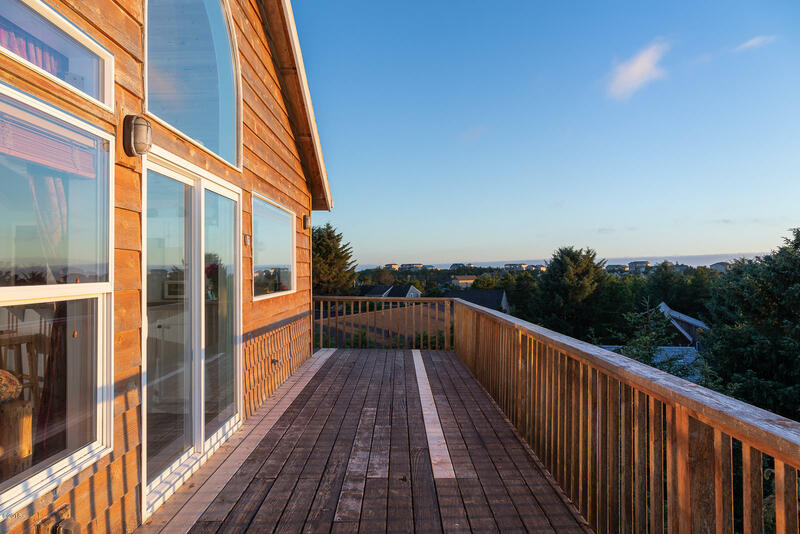 Perfect for gathering, entertaining and enjoying stunning sunsets! 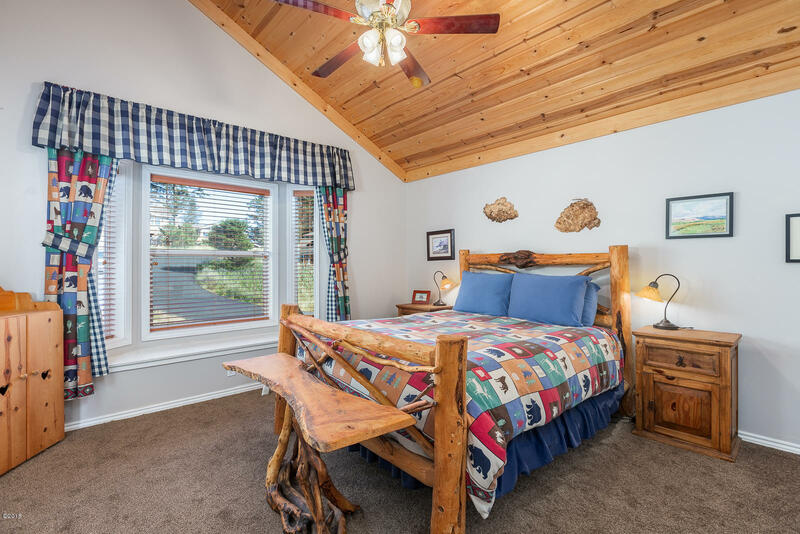 Master bedroom on main floor has a vaulted wood ceiling. 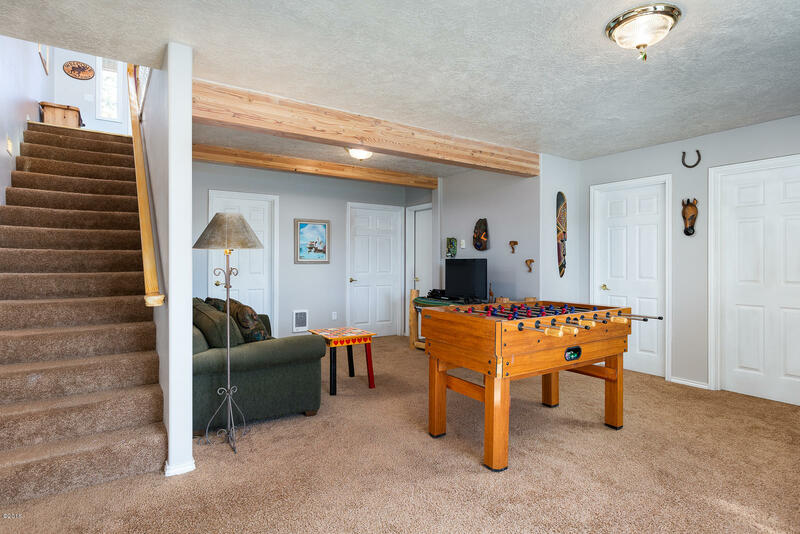 Separate living area on second level with a deck. 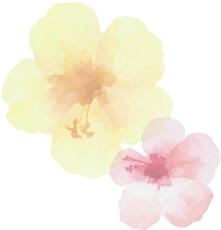 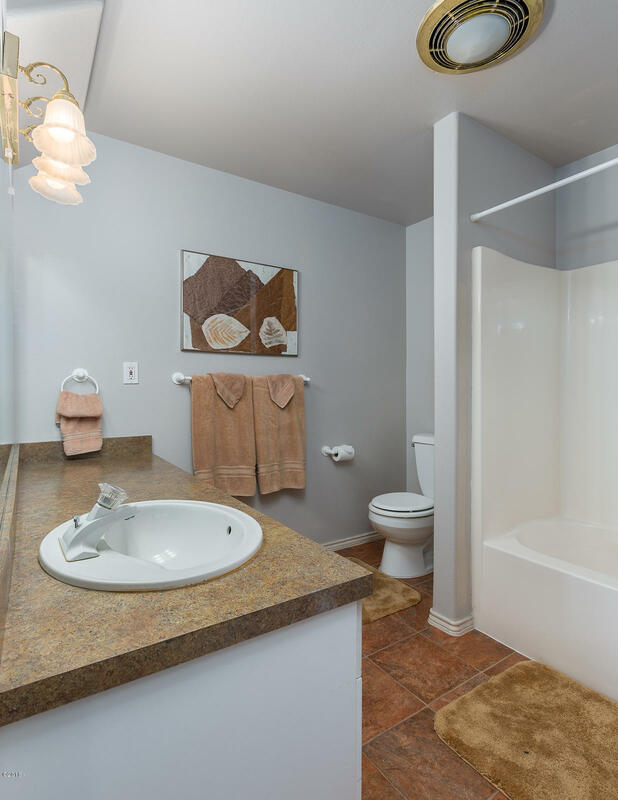 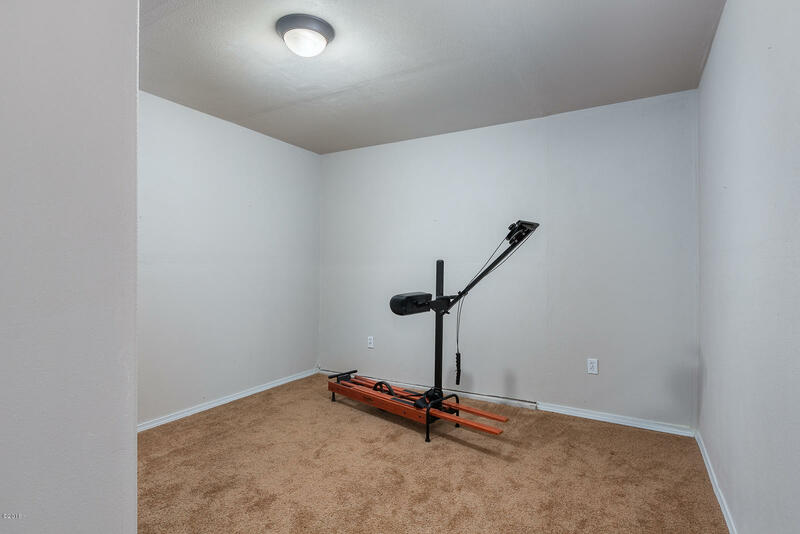 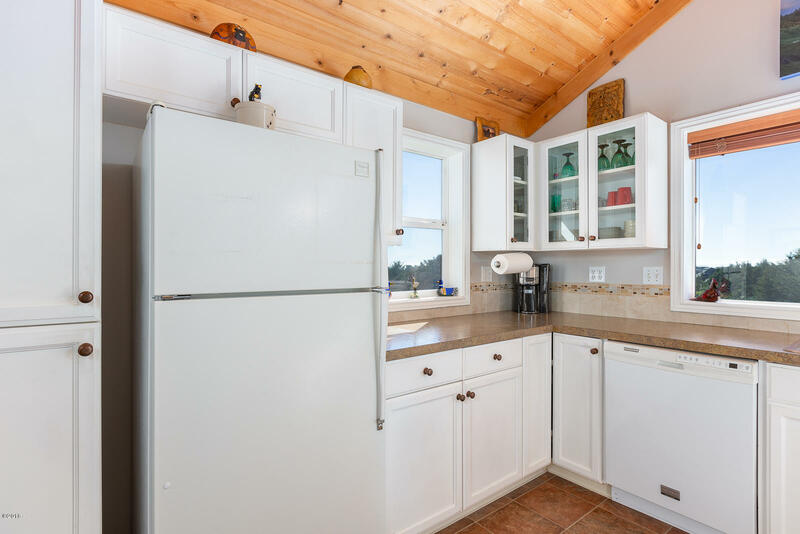 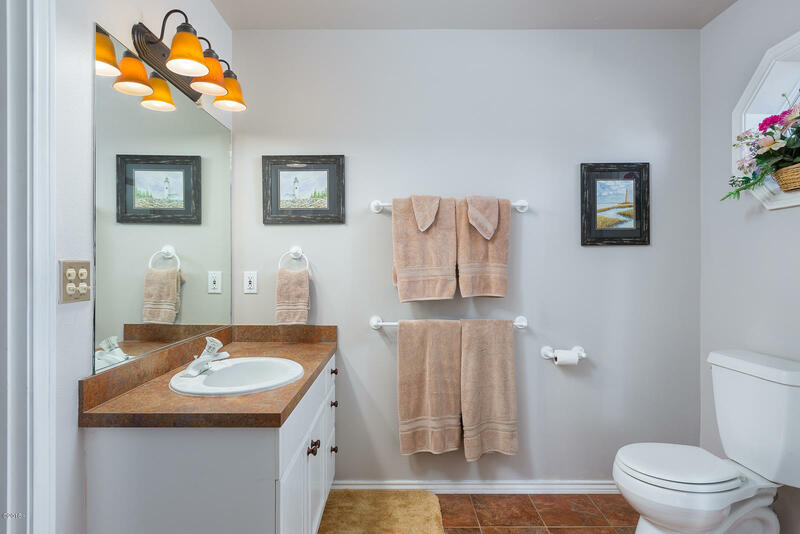 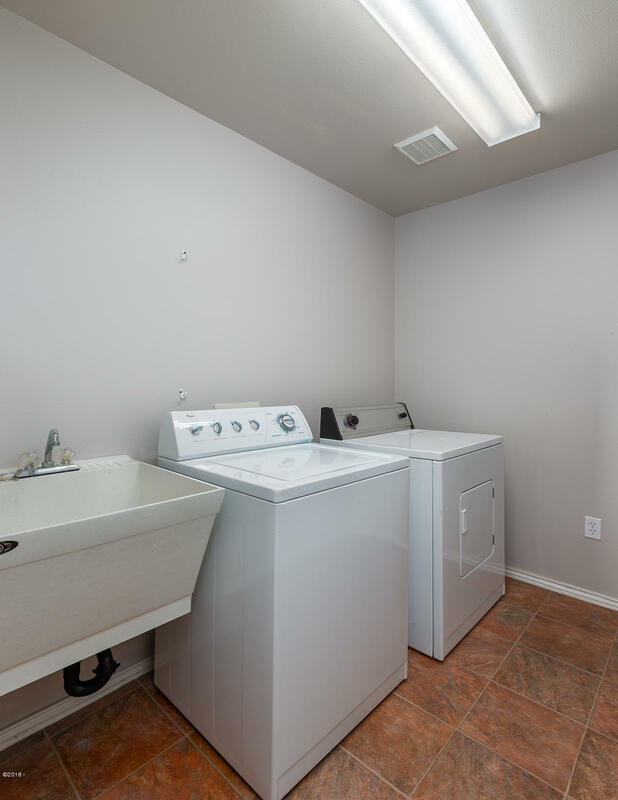 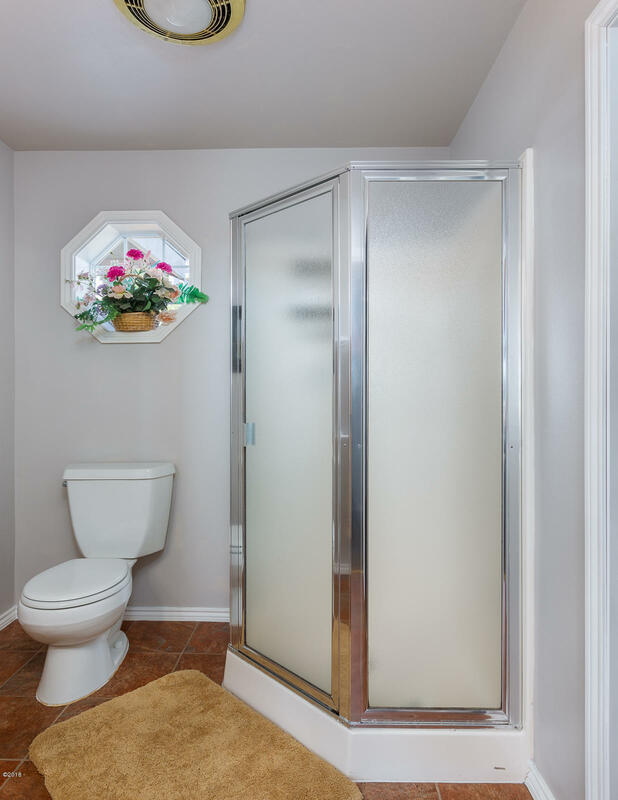 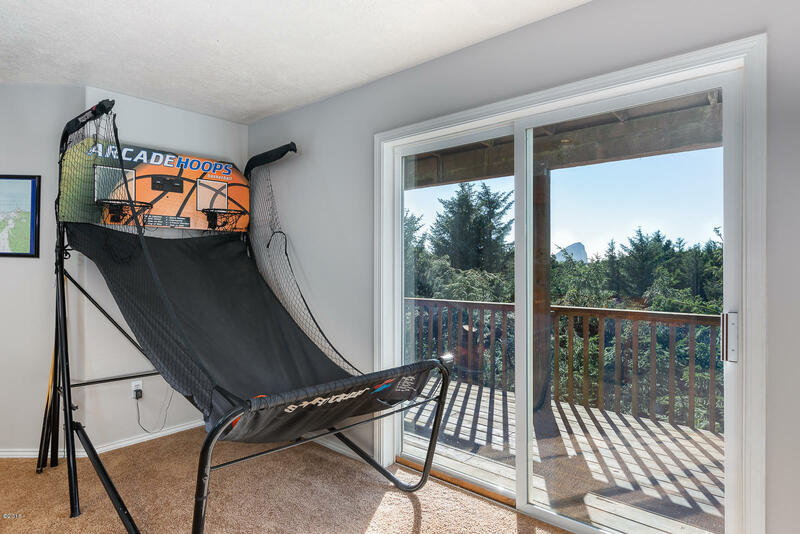 Many recent updates inside and out, include NEW interior paint throughout, upstairs carpet, range, dishwasher, garage door, front exterior siding and gutters. 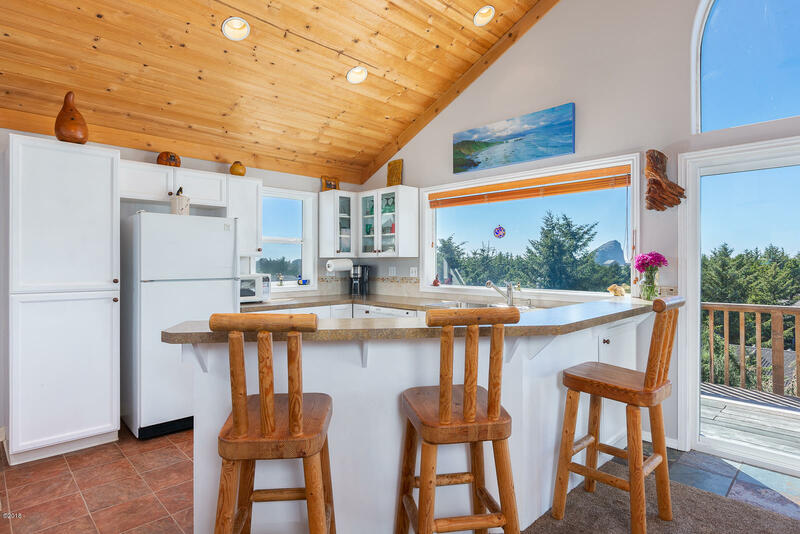 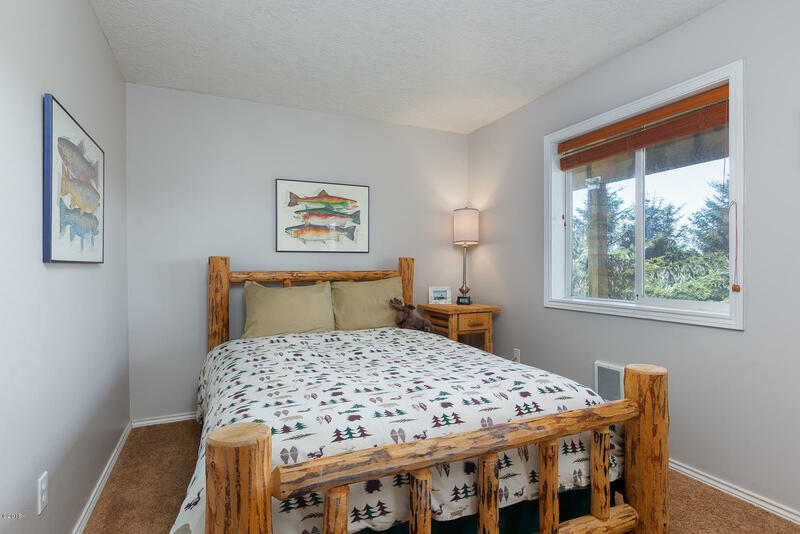 Less than a 10 minute walk to the beach, river, dining, pub and market at popular Cape Kiwanda!